Before heading to an outdoor movie event at a Hollywood cemetery where 1920s stars are buried (Yes, we do that in Los Angeles and like it), my husband and I went to check out the new Whole Foods 365 near us. It’s Whole Foods’ attempt at a smaller neighborhood market. We were lookin for some wine to bring to see “Singin’ in the Rain.” But we didn’t want to spend a bundle, so I picked up the least expensive red I could find. That would be the 2013 Riven Rock Cabernet Sauvignon. This is the wine that gives meaning to you get what you pay for. This cherry-flavored red tastes watered down. It’s a lame-version of Trader Joe’s 2-buck Chuck. Maybe this could pass for a Sangria wine? That’s probably it’s only redeeming quality: It’ll taste better when you mix it with a lot of booze. We totally disagree, and we’re Justin, Groth, Girgich, and Daou drinkers. 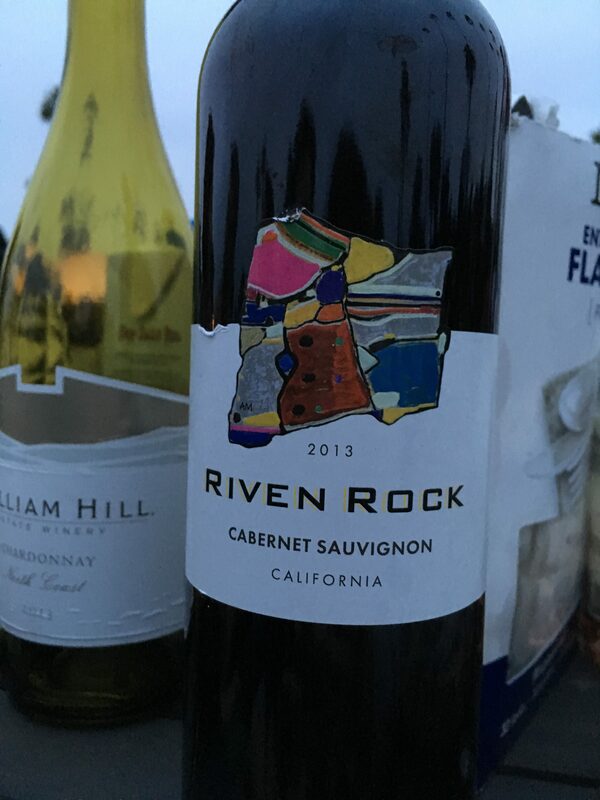 Riven Rock is very nice for weekday dinners–goes down easy and has nice full bouquet. Our whole family really likes it! No wine snobs here!